Based on more than a decade of concealed carry experience, ULTICLIP sought to address certain issues concerned with carrying a firearm. ULTICLIP was designed out of necessity. 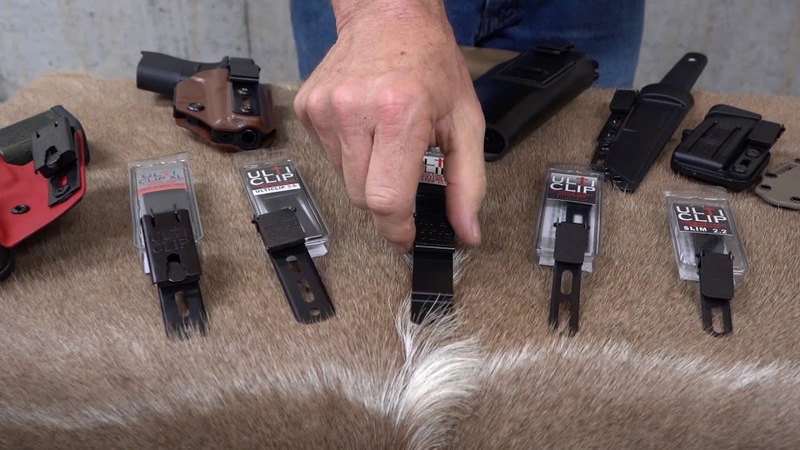 There were no viable options on the market that provided ease of carry, concealment, unprecedented holster retention, and versatility in one product. Ulticlip has met that need! We desire to offer a quality product that enhances an individual’s ability to carry their firearm securely and discreetly. Our clips our proudly made in the USA. Exceeding our desire to make a quality product, is our vision to make a difference in this world. ULTICLIP is a Christian run business. We believe that real change starts in the heart of man. For that reason ULTICLIP gives a portion of the profit from each clip sold to faith-based charities. The Ulticlip SLIM is the newest product from Ulticlip. The SLIM is built with the same patented design as our original Ulticlip. It is slightly over 1/2″ wide which makes it ideal for narrow applications like knife sheaths. We offer the SLIM in two lengths, 2.2″ and 3.3″. Ulticlip XL is based on Ulticlip’s award winning, retention system. Ulticlip XL is the world’s first multi-tool holster clip and locking steel belt loop. No longer do you have to choose between a holster clip or belt loop; with Ulticlip XL you can have both. The locking belt loop is designed for 1.5″ belts and allows the user to carry a holster, knife sheath or accessory Inside the Waist Band (IWB) or Outside the Waist Band (OWB). Ulticlip XL’s multi-tool has a screwdriver and multi-stage wrench. Ulticlip XL’s unique mounting bracket along with its multi-tool can allow the end user to change the ride height, rotate or reverse the item they are carrying at any time. The Ulticlip SLIM is the newest product from Ulticlip. The SLIM is built with the same patented design as our original Ulticlip. It is slightly over 1/2″ wide which makes it ideal for narrow applications like knife sheaths. We offer the SLIM in two lengths, 2.2″ and 3.3″.